Fog lights can be quite a contentious issue for some people, even more so when you start talking about LEDs. As such we dig a bit deeper into the tech, and discuss four of the best LED fog lights currently on the market. To keep things fair, we’ve selected the H10 (9145) format of light bulb to use for the comparison. H10 light bulbs are most commonly used as fog lights, but can also serve purpose as a low beam. Different light bulb forms often have different ratings and prices, so by using one throughout the article, we can directly compare their specifications. JDM Astar have one of the biggest selections of products, not only for different applications, but within each category. 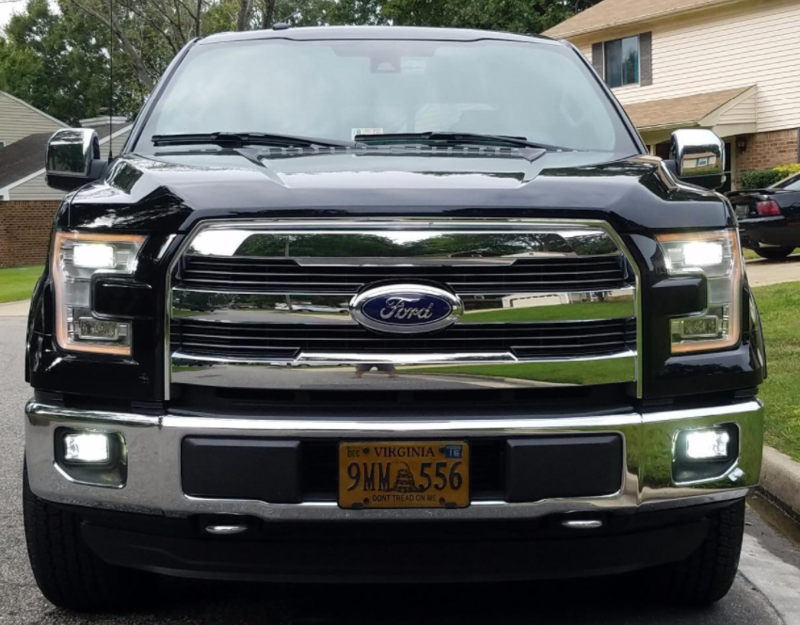 Their fog light selection is no different, and this model rounds up their budget option. At only $30 it’s fairly affordable, but offers all you’d expect of a simple fog light. JDM Astar’s broad selection comes from years of development focused on automotive LED technology, continuously releasing new products based on the latest developments. While normally with fog lights you’d buy individual bulbs to replace a blown one, because LED light bulbs are usually bought to upgrade your lighting, the JDM Astar kit comes as a set of two. The packaging is unimpressive and rather cheap, but this is a budget product. Having the typical L shape of an H10 light bulb, there is no additional wiring or ballasts, and its physical form seems no larger than a typical halogen replacement. While typical LED headlight bulbs require additional cooling and fan systems, thanks to the fog light’s lower power draw, not as much heat is generated, and as such, such systems are not required. 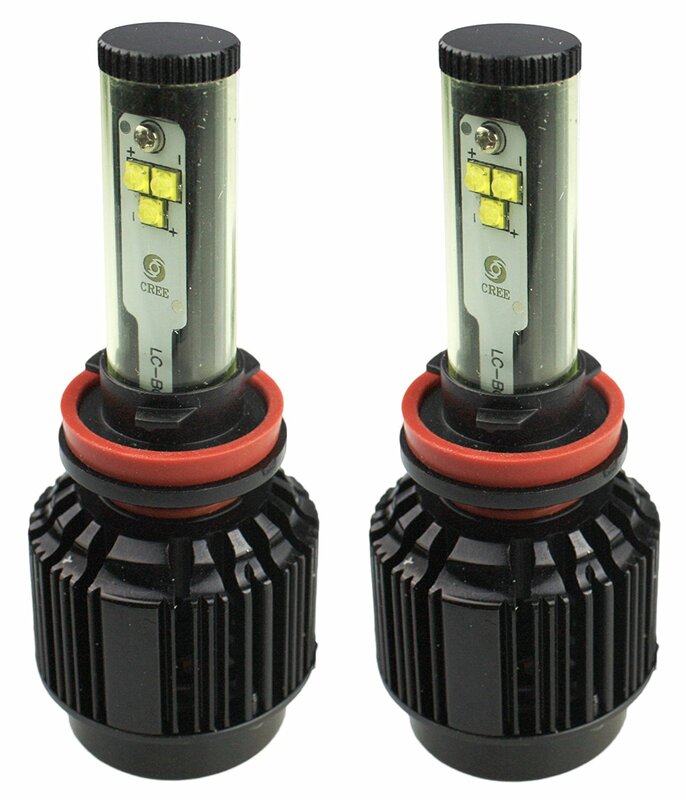 JDM Astar specifically make mention that these light bulbs can be used as replacement daytime running lights (DRL), or fog lights only, that is, they are not appropriate for use as a headlight. We’ve come to expect good things from JDM Astar, and this product seems to deliver. Customers have given it an average 4.4-star rating. High praise for products in this category. To be fair, there’s not much to go wrong, but 4- and 5-star ratings account for 84% of all reviews. Customers complimented the JDM Astar on its quality, easy fitment and good color matching. 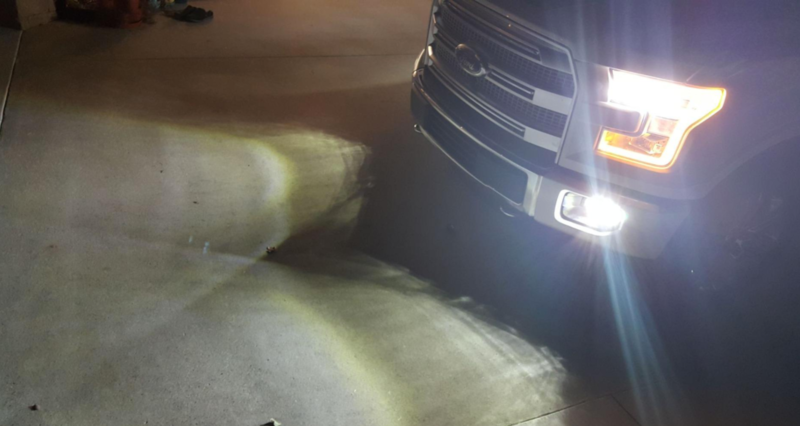 One thing to keep in mind is that quite a few truck owners complained that installing these altered how light was projected from the fog light enclosure. The typical horizontal cut-off was gone, and instead the light shone in all directions. Also note that for some European cars, a load resistor may need to be installed to avoid an error code. 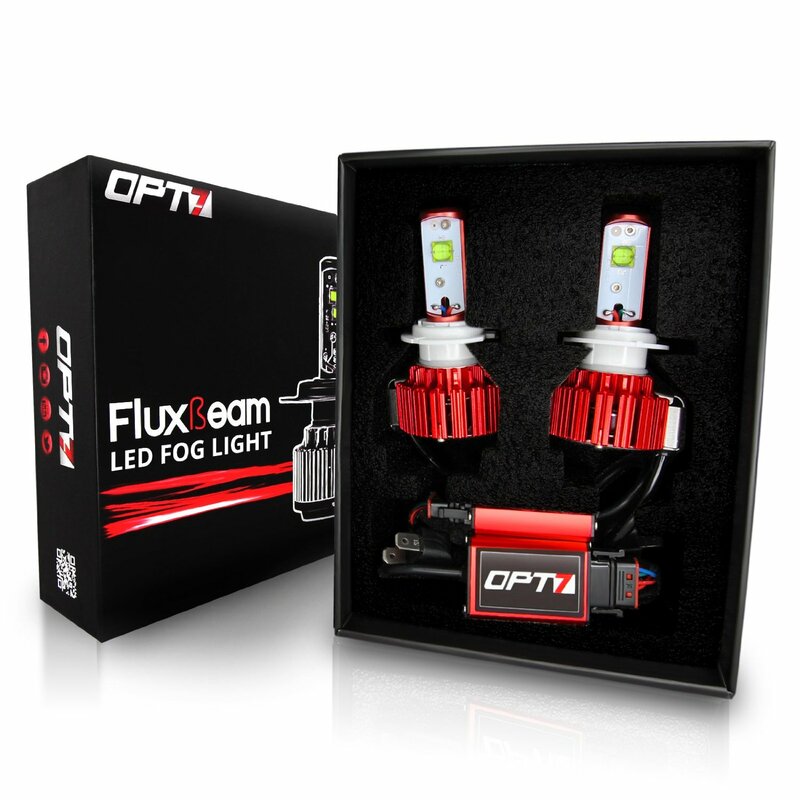 Opt7 have been a leading brand in the LED automotive market since they released their first Flux Beam product a few years ago. This reputation followed on from years of experience developing HID kits. Based in California, they continue to produce top notch HID products, and have expanded their LED range to cover any automotive requirement. This is Opt7’s most expensive fog light kit. It’s basically the same light bulb that can be installed as a low beam. As such it has a measured brightness far brighter than both its competitors and conventional fog lights. Because of this, a cooling system is required, and is provided by Opt 7’s Modular Heat Protection in the form of a 7,000RPM TurboCool fan and RedLine Cool control driver. Along with all these features comes an unfortunate price tag of $100. Opt7 are quick to point out how good their products are though, and they add some value by making these light bulbs CANBus-Ready which should mean they work first time, without the need for load resistors. Installation is also fast, with the lightbulbs clipping straight in, and the very small inline drivers not getting in the way of anything. We complimented JDM Astar on their 4.4-star rating, well Opt7 took that as a challenge and have developed a product that has achieved a 4.5-star rating. People really love this product with 83% of customers giving it a 5-star review. Reviews came from both those who bought it for its assistance in real-life fog situations, as well as those who just liked the look, and everyone agreed the lights are worth the cost. On the other end of the scale, the bulbs received a 1-star rating from 8% of customers. These customers had a mixed bag of complaints, nothing which seemed to indicated a serious or systematic problem with the product as a whole. While we won’t deny this being an excellent product, it’s hard to warrant paying $50 for a pair of fog light bulbs, never mind $100. These are lights which many people will never use, and those who do, only for a minimal amount of time. If you really are wanting the best product on the market, and are happy to pay for it, then this is what you’re looking for. Otherwise we can’t, in good faith, recommend you buy these. While still advertised as “New Technology” this product has been on sale for over a year. Not that we hold this against Kensun. They’ve consistently provided good quality products at an affordable price, backed by their “number one in customer service and quality” claim and 2-year standard warranty. Much like Opt7, Kensun progressed from the HID market (which they still dominate) onto newer and better things. Kensun like to keep things simple though, and along with this product, offer only one other LED light bulb suitable for fog lights based on their newly released ETI LED chips. On the topic of suitability though, it should be noted that these light bulbs weren’t specifically designed as fog lights. As their product title stipulates, this is actually a headlight conversion kit. 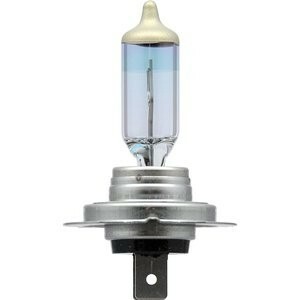 However, due to the nature of light fittings, these bulbs can also be used as fog lights. Packaged in the customary Kensun aluminum briefcase, you receive two light bulbs, already wired to just plug in. Also provided are two sets of slip-on filters to change the stock color of the light bulbs. These lightbulbs are designed to not require an external driver, which makes installation easier. However, much like the Opt7 device, the power output is far higher than a conventional fog light, and thus a fan is still required, making the bulb slightly longer than a normal H10. Kensun doesn’t score as high as some other products when it comes to customer feedback. It manages a pretty satisfactory 3.8-stars. Customers were impressed with the brightness of the lights, the ease of installation and nice packaging. Others complained about the short lifespan, with some buyers having gone through two sets of bulbs in less than a year. Some complaints also mention poor light distribution, regardless of brightness. 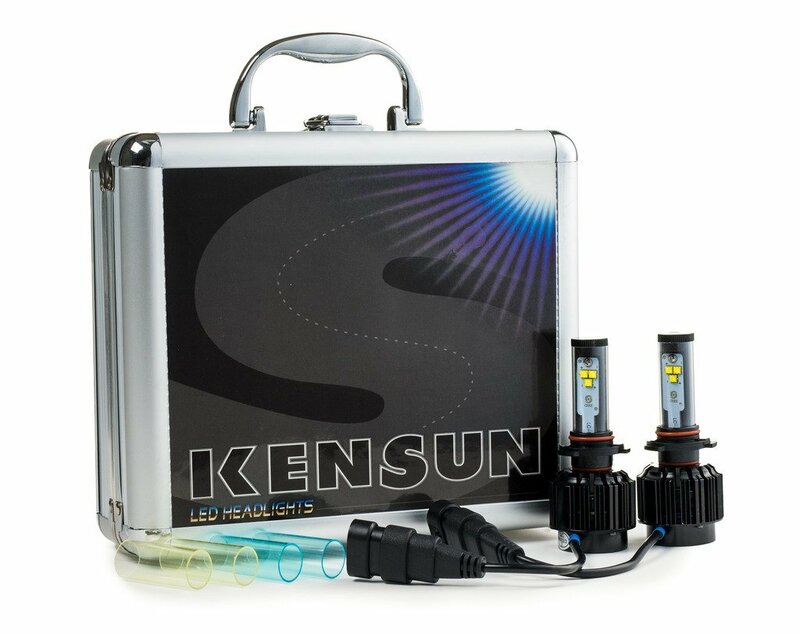 While this Kensun product does benefit from the lack of external driver, the relatively high cost amongst fog lights keeps it off of our recommended list. We covered one of Opt7’s other products earlier, so we’ll skip the introduction. 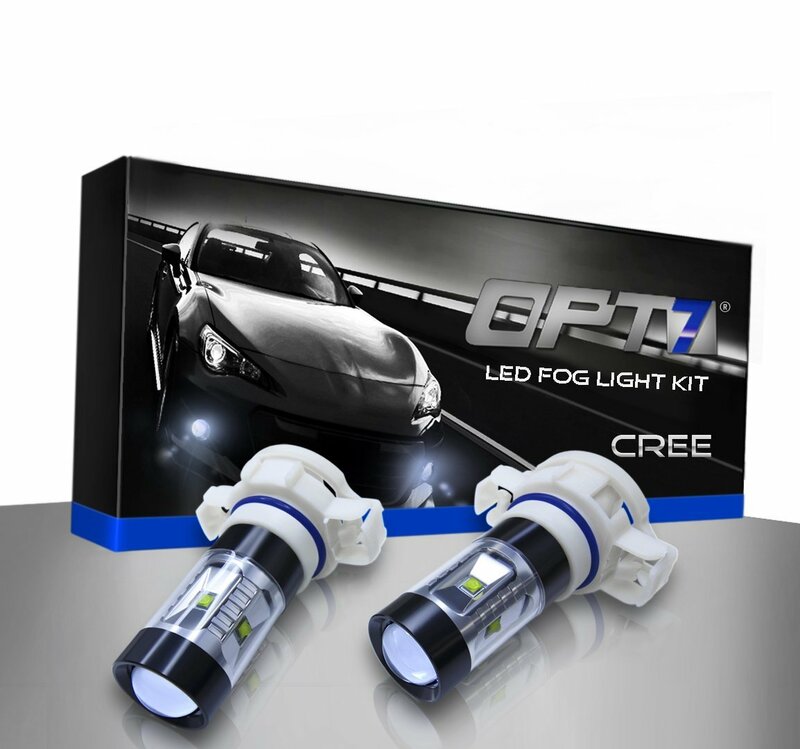 This product is designed specifically as a fog light replacement, as opposed to the other product’s dual use case. Along with the specific design comes a drop in light output, no more external driver and removal of the rear cooling fan setup. All of this brings with it a price drop to $33. The lack of fan and moving parts also improves the light bulb’s durability offering a 60,000-hour lifespan. A number not exceeded by any other manufacturer. Also, contrary to Opt7’s standard warranty, these light bulbs are only offered with a 1-year warranty. Opt7 received an acceptable, although lower than expected, 3.7-star rating from customers for these lights. Surprising, because we’re used to Opt7 selling only the best products. When investigating this anomaly, we see a number of complaints about premature failure of the products, along with complaints similar to the JDM Astar, where light distribution is scattered instead of being cut off. Don’t let this put you off completely though, the Opt7 series 5202 still received 5-star ratings from more than half of respondents. While they are not a lot brighter than stock bulbs, people are happy with the product received, especially considering the price, and approve of the white color output. Installation is also easier than ever. Fog lights serve two purposes in life these days. Historically they have been used as intended, and as their name conveys, under foggy conditions. Fog lights are mounted low to the ground, below one’s headlights, and have a sharp cut-off. Much like your low-beam doesn’t shine higher than a certain point, fog lights are designed with a similar restriction built in. The reason for this is to prevent the fog right in front of you from being illuminated, causing glare, and effectively blinding you. Instead they shine a wide beam, usually brighter than a low beam, close to the ground. They are designed for low-speed driving, to illuminate the ground and edges when you otherwise can’t see. It’s rare for most of us to encounter such conditions in our day to day life, but that hasn’t curbed the demand for cars to have fog lights installed. The second purpose, and many people’s main reason, for having fog lights installed, is that they look cool. While some jurisdictions have outlawed the use of fog lights in conditions that don’t warrant them, it doesn’t stop many people driving around with them on, on a day to day basis. And while we don’t condone this use, a decent set of fog lights does make a good-looking car, that much more appealing. If you’re involved in the car-modding scene, then by all means, have your fog lights on during meet-ups, but not on the road. 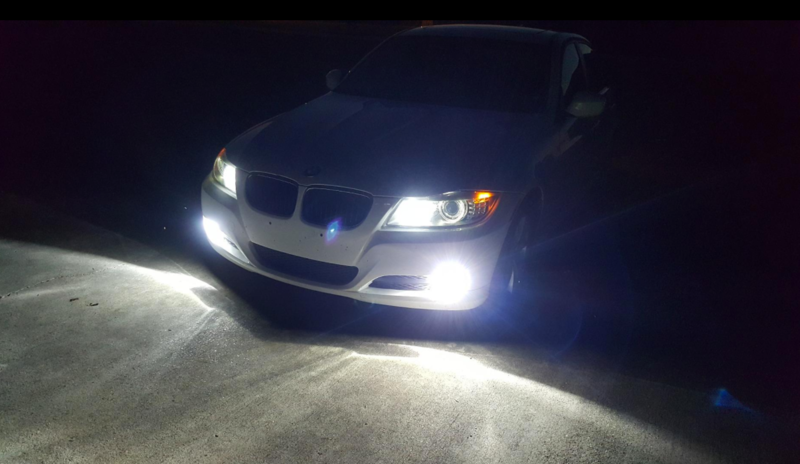 While the ongoing debate about what is better between LED and halogen bulbs has pretty much shifted in favor of LEDs, one still has to decide whether it’s worth installing them as fog lights. The biggest advantages offered by LED lights over halogens is their extended lifespan and efficiency when compared to halogens. But how much of an advantage is this in your fog lights, which you are using for an extremely limited amount of time each year. That being said, LEDs are more durable than halogens. Having no filament, LED bulbs are less likely to become damaged over time just from driving. Along with this, their relative brightness for the same amount of power draw will make them more effective when they are truly needed in inclement weather conditions. Most LED lights produce a much whiter light (4,000K or higher) than halogens, which makes some people doubt their efficacy. Traditionally fog lights were often yellow. This was originally thought to improve visibility due to yellow light having a longer wavelength than white light, but studies have shown that white light is equally effective to yellow when illuminating objects in fog. Additionally, most people favor the look of a white, or slightly blue light over the soft yellow. 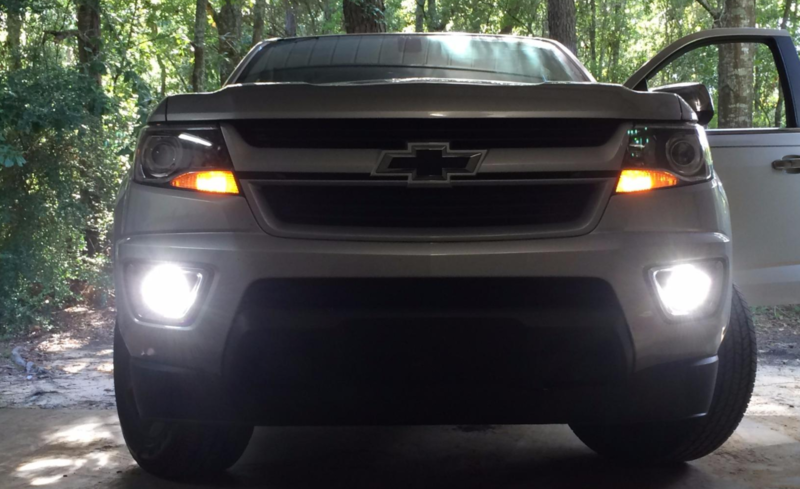 If you’re looking for the best LED fog lights on the market, then your answer is the Opt7 Arc-Beam. At $100 per set they’re not cheap, but they offer the best in reliability and performance. If you’re not interested in paying the price for the best, then the JDM Astar’s we discussed first today should be your go to. At only $30 for a set you can’t go wrong. They’re not as bright as the Opt7 Arc-Beam but should outshine your stock halogens and provide a range of other benefits.